Frank Zeigler was an intellegence officer with 609 Squadron between 1941 and 1944. 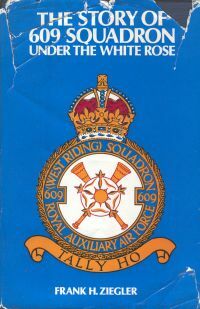 The book provides a detailed account of 609 Squadron with a great deal of information drawn from 609's "official" diary as well as the diaries of 609 members. Jim Earnshaw has put a great deal time and energy into the 609 Squadron Association. 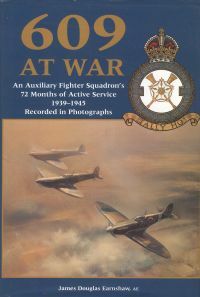 He tells the story of 609 Squadron in photographs drawn from his own collection. George "Doc" Bell served as a medical officer with 609 Squadron in 1944 and 1945. His book details the events leading up to the Normandy landings, and 609's movement through Fance and into Germany at the end of the war. 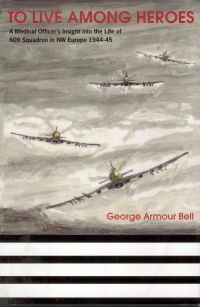 The book is a moving personal account of the life and people of the Squadron.